Hallmark has one of the best corporate art collections in the world. The collection, which contains hundreds of pieces from world-renown artists, is not open to the public. Hallmark wanted a way to share these works with audiences both inside and outside the company’s corporate headquarters, where many of them are housed. Indicia had the pleasure of creating a new online experience for Hallmark’s Corporate Art Collection. 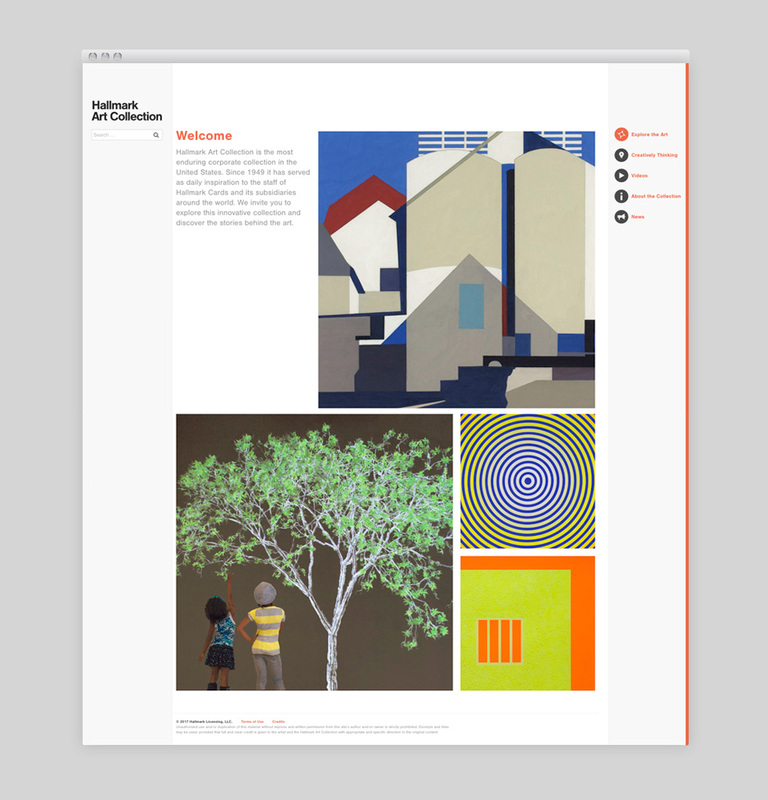 Building a website that showcases some of the best artwork in the world, as well as providing information about their curation and the artists behind them, created an interesting challenge. The resulting site provides a rich viewing experience for the work, almost as good as being there in person.